Angel Energy is a beautiful mixture of the warm healing energy of Compassion and Therapeutic Touch or gentle laying of hands. The healing energy of Compassion creates a loving field of tender-kindness and deep understanding serving only one purpose, to sit quietly with pain and suffering in a loving state of acceptance with a gentle touch of support and source of nurturing, healing energy. Jennifer is a Licensed Spiritual Healer and Intuitive certified in Integrated Energy Therapy. She was given the gift of Healing Compassion as a child and feels blessed to share this healing gift with others. Her natural compassion-connection offers intuitive information, insights or messages during your session. Afterwards, Jennifer will share any intuitive information to encourage a deeper healing and transformative experience. * Restoration, Rejuvenation and Re-connection. Your healing session will always start with great care and centered specifically on you and your needs. Next, I will scan your body and energy to gain more specific information of areas needing assistance, attention, and deep care. 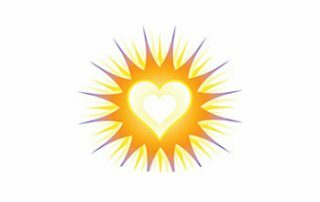 I will apply a gentle hands-on, light Healing Touch to establish a connection through compassion as well as move any stagnant or stuck energy. If troubled areas are picked up, I will encourage any tension to ease into softness to best support an openness into full relaxation. I may use relaxing essential oils to awaken your senses and encourage a deeper awareness to this purely feeling experience. I may also use Tibetan singing bowls or frequency sound therapy to balance and soothe your energies. You will feel balanced, restored, deeply cared for and loved. Afterwards, we will talk about your experience allowing a short period for processing, I will answer any questions and share with you the information, insights or messages given to me during your healing session along with any thoughts about after care.